The winter chill came down on Hollywood two nights ago and not because of Queen Elsa. 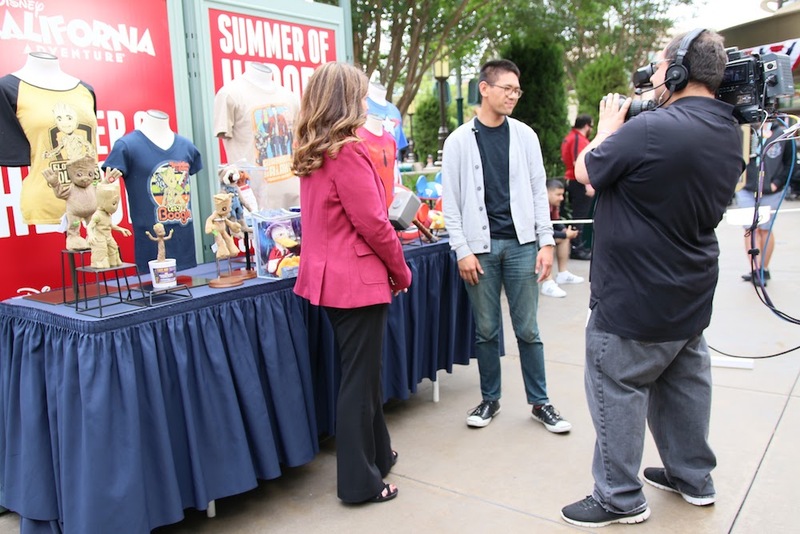 And as grateful we were for the change in the seasons, things began to heat up rather quickly when we joined the cast, crew, and VIP guests for the world premiere of Disney’s “Big Hero 6“! Disney’s next animated film has promised big things to the worlds of animation and storytelling, so it was only fitting that they put together an equally larger-than-life movie premiere for it. We were graciously invited by our friends at The Walt Disney Studios to cover the Los Angeles premiere which really took place in San Fransokyo, the visually stunning setting of the film, which was recreated right on Hollywood Boulevard. Check out our video interviews and pictures from our time on the red carpet by clicking HERE. Be sure to also check out our Twitter and Instagram feeds for what went down during the premiere as it happened live! Remember to also read our spoiler-free review of the film, as well as our exclusive interviews with the cast and filmmakers. Get ready to #MeetBaymax and the rest of the heroes when they all fly into your local theaters this Friday! What would you do at a Hollywood movie premiere? If you were at the “Big Hero 6” premiere, who would you talk with and why? Tell us in the comments!